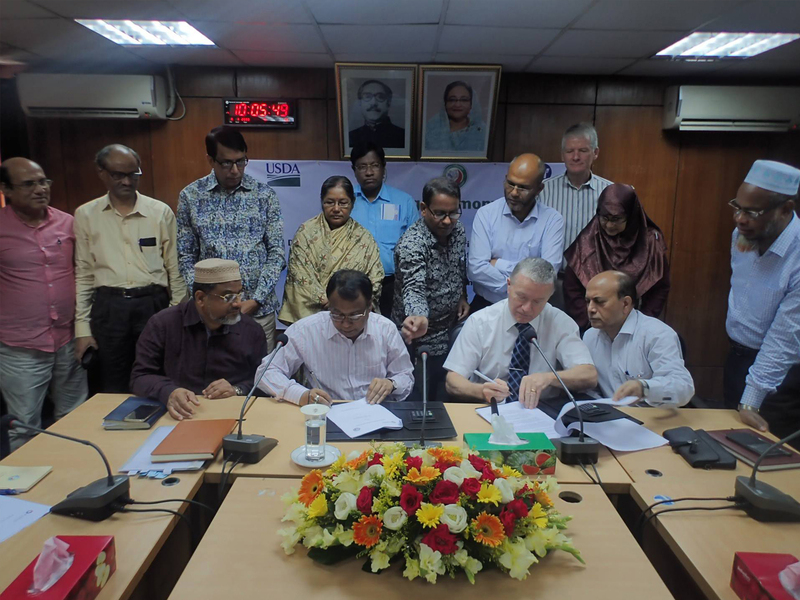 On September 28, 2018, Winrock’s USDA-funded Safe Aqua Farming for Economic and Trade Improvement (SAFETI) project signed a Memorandum of Understanding with the Department of Fisheries of the People’s Republic of Bangladesh. The MoU authorizes joint collaboration to sustainably develop the shrimp and prawn sector in Bangladesh. The signing ceremony was led by Mr. Abu Sayed Md. Rashedul Haque, Director General, Department of Fisheries. Winrock’s USDA SAFETI project aims to increase production and health of shrimp and prawn in Bangladesh to sustainably increase national exports while boosting incomes of everyone in the supply chain. With a science-based approach, the project is translating research into action that improves water quality, prevents disease, reduces losses and increases incomes. The project will expand on those efforts through this powerful partnership with the Bangladesh Department of Fisheries. Mr. Abu Sayed Md. 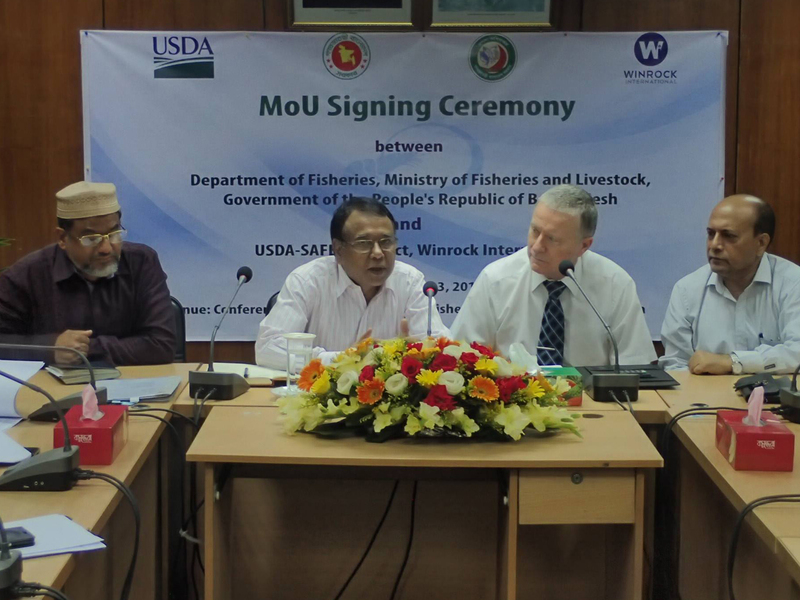 Rashedul Haque, Director General, Department of Fisheries, and Dr. John Dorr, Winrock Chief of Party of the USDA SAFETI project sign the Memorandum of Understanding. The signing ceremony was led by Mr. Abu Sayed Md. Rashedul Haque, Director General, Department of Fisheries, with Dr. John Dorr, Winrock Chief of Party of the USDA SAFETI project. The event was attended by several senior officials from the Bangladesh Department of Fisheries and senior technical advisers from Winrock’s USDA SAFETI project.